However don’t worry I am not just going to eat slaw for my lunch tomorrow! I am looking forward to a cold meat sandwich with this slaw loaded into it. 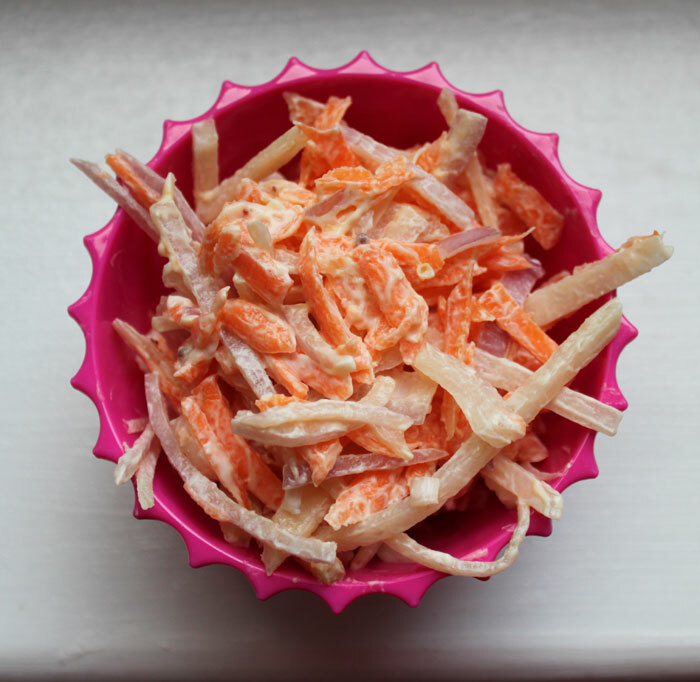 Unlike a lot of Coleslaw recipes this is a much healthier version, I used 0% fat yoghurt and light mayonnaise to make it! ~ makes enough coleslaw for 10. Kohlrabi around a 1/2 of a globe, remove the purple outer layer with a paring knife, then cut or grate into thin strips. 2 large carrots, cut or grate into thin strips. 1/2 a red onion, thinly sliced. 4 tablespoons of strained yoghurt, I used 0%. 2 tablespoons of light mayonnaise. 1/2 teaspoons of dijon mustard. Cut the kohlrabi, carrot and onion. In a large bowl mix the yoghurt, mayonnaise and mustard together till evenly combined. Then add the vegetables, mix until coated. 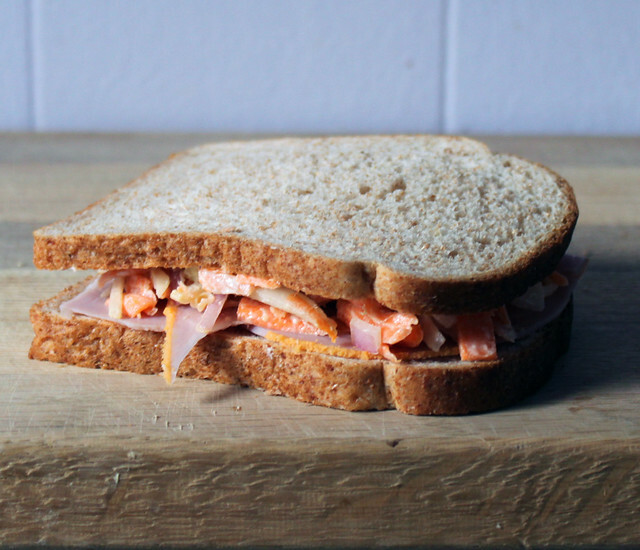 This Kohlrabi Slaw was wonderful and perfect on a simple ham sandwich. Interested in more Kohlrabi recipes?